NNF Gives Back in 2014: Thank You! 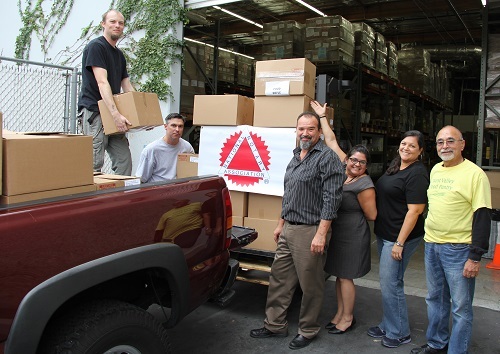 The benevolence of Notaries was robust in 2014 as the National Notary Foundation donated nearly $50,000 to programs that support the lives of the less fortunate and others in need across the country. Among the top philanthropic programs this year, the NNF donated $8,000 to fund Notary training courses for veterans from all branches of the U.S. military at the National Notary Association’s 2014 Conference in Phoenix, Arizona. A $10,000 donation was made to the City of Hope’s breast cancer research program, funded partially through your support in purchasing the NNA’s special edition breast cancer awareness journal. And the NNF made a $25,000 donation to the Calvin Coolidge Presidential Foundation to help promote the ideals of leadership and public service espoused by our nation’s 30th president. Established in 1997 — and supported by funds from Notaries and the National Notary Association — the NNF is dedicated to funding medical research and education programs, along with fundraising drives to help the less fortunate. The NNF donated $1,500 to the Chatsworth Park Elementary School in Chatsworth, California, to benefit the school’s library improvement project of their Accelerated Reader Program. On behalf of the 2014 Notary of the Year, David Shean, the foundation donated $1,000 to Loyola High School in Los Angeles, California. The NNF also donated $1,000 to the Glendale Community College in Glendale, Arizona on behalf of the 2013 Notary of the Year, Kathy Fletcher. The NNA staff was also in the spirit of giving. This November employees organized a canned food drive to support the West Valley Food Bank in Woodland Hills, California. Employees collected 1.5 pallets full of non-perishable items to help those less fortunate in the community, surpassing the previous year’s donations. None of this could happen without the support of Notaries and their families and friends. One-hundred percent of your contributions go directly to the worthy programs we support — on your behalf — because all of the National Notary Foundation’s operating costs are donated by the NNA. We invite you to participate in the National Notary Foundation’s efforts. Please join us today by making a tax-deductible donation. Call 1-800-876-6827 to make your donation Monday through Friday between the hours of 6:00 a.m. and 5:00 p.m. PT.